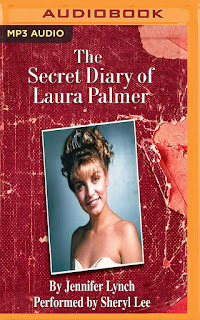 At the height of Twin Peaks' popularity, at the end of its first season, series creators Mark Frost and David Lynch commissioned Lynch's daughter Jennifer to write a media tie-in novel The Secret Diary of Laura Palmer (1990). 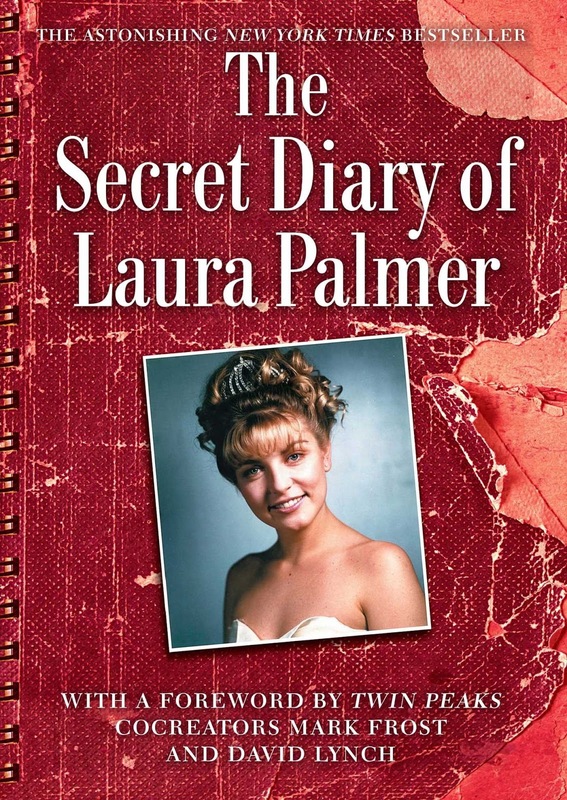 But unlike many other media tie-in novels, this book received special attention from popular culture as Twin Peaks fever spread across the nation, and the most asked question by TV viewers was, "Who killed Laura Palmer?" Up until this time the two creators were the only people to know the identity of Laura's killer, Mark Frost and David Lynch. But Jennifer Lynch was allowed to enter into their confidence and would become the third person to learn it. She was under a strict Non-Disclosure Agreement, since the answer to this question was considered a proprietary and copyrightable trade secret. 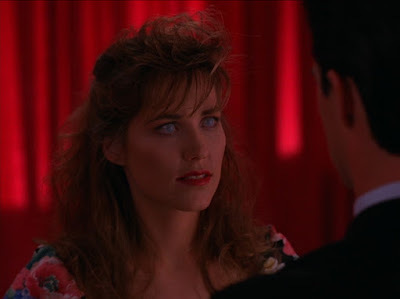 So Jennifer Lynch performed the unenviably difficult task of reconstructing all the characters and atmosphere of Twin Peaks, but portray everything from only Laura Palmer's point of view. Jennifer Lynch also had to harbor and protect one of the most sought-after secrets on TV, while honestly setting up its official reveal. Frost and Lynch knew she would need this information to help her properly foreshadow the reveal that would take place just seven episodes into Season 2. Laura's Secret Diary would be introduced early in the show's second season narrative with the arrival of Harold Smith—Laura's reclusive shut-in friend and confidant, who Donna Hayward would later find while exploring Laura's old Meals on Wheels route. Harold would be played to perfection by the criminally underrated Lenny Von Dohlen in one of the most unforgettable guest character mini-arcs in the show. As Lynchian and beautifully bizarre as the Twin Peaks (1990-91) TV series and later prequel film Fire Walk with Me (1992), The Secret Diary of Laura Palmer painstakingly recreates the mind frame of the troubled teen from ages 12 to 17 as she copes with the onset of adolescence, wrestles with conflicting worldviews, comes to terms with her nightmares, and confronts her reality of sexual abuse. As a whole, these pieces to the Laura Palmer puzzle are insightful and the book's refreshingly honest depiction of her state of mind helps add dimensions to Laura's character that make her even more compelling. The Secret Diary of Laura Palmer was a clever way to world build from a point of view that is vital to experiencing the full saga of Twin Peaks. Just as many fans of the show either loved or hated the prequel film Fire Walk with Me, the same polarizing reaction seems to apply to this novel. It is a rather frank portrait of a victim of traumatizing sexual abuse and an examination of some of the many disturbing activities she participated in secretly. So the read can be a bit of a downer for most casual readers. But I agree with Matt Humphrey from The Twin Peaks Podcast, who expressed his opinion that reading The Secret Diary of Laura Palmer helps clarify, enrich, and improve the Twin Peaks viewing experience and prepares viewers for the shocking transition from the slightly lighter tone and content of the TV series into the rougher and more brutal cinematic world of the prequel Fire Walk with Me. A missing link, as it were, that helps bridge the gap. Along with the The Autobiography of F.B.I. 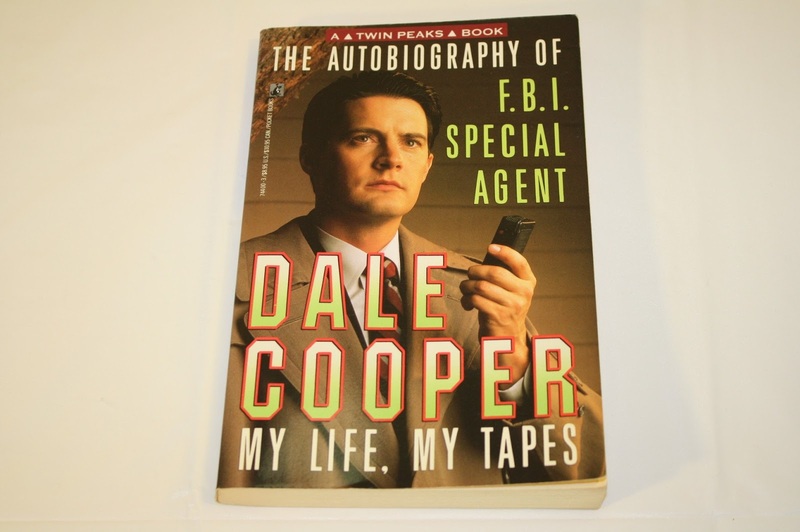 Special Agent Dale Cooper: My Life, My Tapes below, The Secret Diary of Laura Palmer is an excellent resource for anyone wishing to expand their understanding of the complex characters and world of Twin Peaks. Within the Secret Diary's text, Laura expounds on her interactions with her family, friends, and townspeople, adding vital details about these important relationships that add new dimensions to watching the series. The Secret Diary is NOT your average merchandising ploy to exploit the popularity of a cutting-edge TV series, but is an important appendage to the story revealing new layers of Laura's saga that truly enliven and enrich the series as a whole and make the complex Fire Walk with Me all the more significant and easier to comprehend. 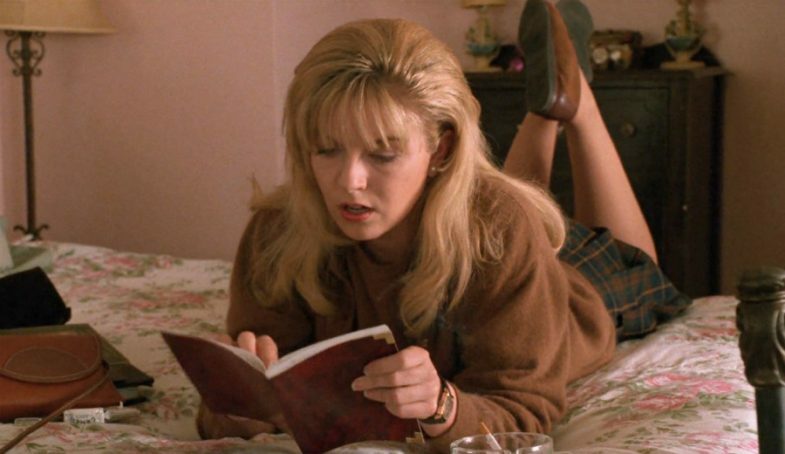 Word is that actress Sheryl Lee carried around a copy of The Secret Diary on set to better research and understand how to perform as Laura Palmer. Although technically just a work of fan art, the Canadian dance-punk band You Say Party's music video in the clip above brings to life many memorable scenes from The Secret Diary of Laura Palmer, including Laura's election to homecoming queen and her partying with her secret boyfriend James. 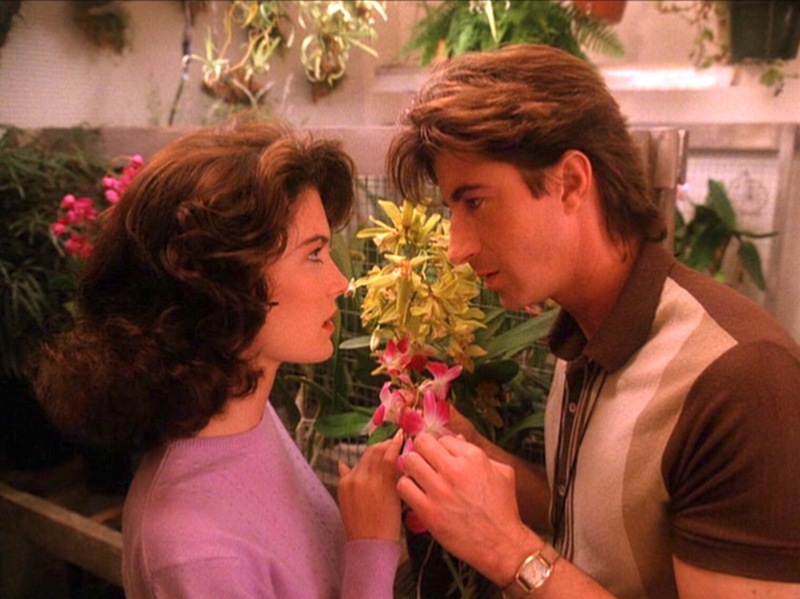 We also catch a glimpse at a vital moment in which Audrey Horne spies on Laura comforting Audrey's emotionally disturbed older brother Johnny, which I find informative about Audrey's motivations later in Seasons 1 & 2. I wish this moment existed in the series proper. In the tradition of assigning talented writer family members to expand on the universe of Twin Peaks in print, Mark Frost's brother Scott Frost was given a similar assignment to deepen our understanding of Agent Cooper's life in The Autobiography of F.B.I. 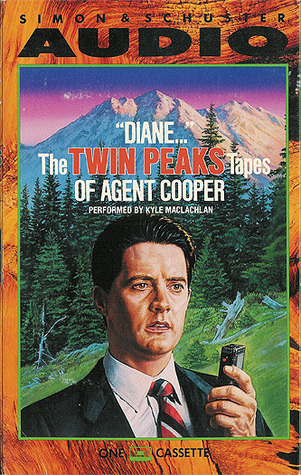 Special Agent Dale Cooper: My Life, My Tapes . You can read more of my thoughts on this book in my article here. In the last episodes of the TV series, Cooper's former F.B.I. partner Windom Earle arrives on the scene. Earle's appearance comes across as a little random in the show, but this novel adds needed layers of depth to their back story unfortunately absent from the series. And once Twin Peaks was prematurely cancelled, this book became one of the few venues for fans to explore this complex storyline further. And then we have Diane... The Twin Peaks Tapes of Agent Cooper (1990), an audio tape featuring Kyle MacLachlan as Special Agent Dale Cooper, who shares his notes and insights on the Laura Palmer murder case, as well as ruminate on his general worldview. He dictates these quirky messages via tape recorder to his elusive secretary at F.B.I. Headquarters Diane. Although not quite as rich and detailed as the novels, Diane... The Twin Peaks Tapes of Agent Cooper combines all of Coop's recordings from the Pilot Episode through to the Season 2 Premiere and adds other additional recordings to better paint a picture of Cooper's initial impressions of the town and denizens of Twin Peaks. At only 45 minutes long, the tape is brief, but is still an entertaining supplement. 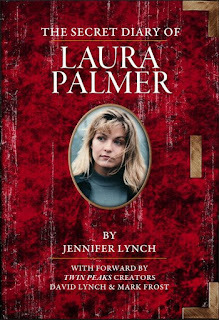 December 06, 2011 marked the printing of a new edition of Jennifer Lynch's The Secret Diary of Laura Palmer . It contained a new foreword by Mark Frost and David Lynch, which was a nice addition as the two co-creators shared their thoughts of this book with more than two decades to ponder it in retrospect. At that time, there was Twitter prize set up by Mark Frost in which he gave away five autographed copies of the new edition of the book for his five favorite tweets explaining, "Why Twin Peaks still matters to you?" I was fortunate enough to be one of the five winners. The most beautiful dream and terrible nightmare in TV history, #TwinPeaks epitomizes the highest form of art: man's conflict with himself. When Mark Frost was getting my shipping address, I had a word with him about whether there were any possibile plans of an Audiobook version featuring Sheryl Lee narrating. I even pointed him to a an audio excerpt of Sheryl Lee reading from The Secret Diary of Laura Palmer in a Pre-Season 2 Premiere Special Hosted by Alan Thicke in 1990, which you can hear in the clip below. 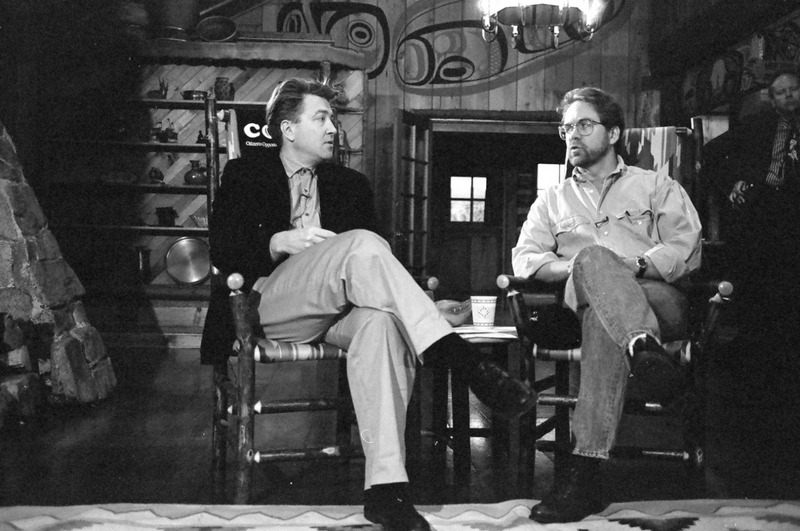 Mark Frost seemed particularly interested in that idea and he did some in-depth follow-up research, but unfortunately Sheryl Lee apparently only recorded a few brief excerpts for the TV special back then and full recordings for the book apparently did not exist. But years later, Mark Frost tweeted excitedly about a brand new recording Sheryl Lee made for the Audiobook version. And while I take no credit from Sheryl Lee, Mark Frost, and author Jennifer Lynch for the recently released Audiobook featuring Sheryl's excellent voice narration, I like to think I had a small part in at least giving a voice to the many other Twin Peaks fans out there in demonstrating how much fan demand there was for Sheryl Lee to voice the Diary. And in that VERY small way, I like to think I helped contribute to it happening. For those who have not yet had the opportunity to hear the Audiobook version yourself, I wanted to make you aware of a deal at Audible that would allow you to get any two Audiobooks of your choice for free. You have up to a month to cancel your free trial, but if you choose to keep your membership for $14.95 per month, you will continue to receive a free Audio book each month and receive a 30% dscount off any other Audiobook purchases. 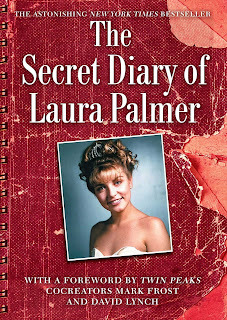 It is an excellent way to get The Secret Diary of Laura Palmer for free and Audiobooks are becoming a more and more popular way of keeping up with the latest in fiction and non-fiction anyway. It is an excellent way of turning your commute or household chores into a more pleasurable and informative experience. In the future you can look forward to 40 Years of David Lynch being released on Audiobook through Audible, too.